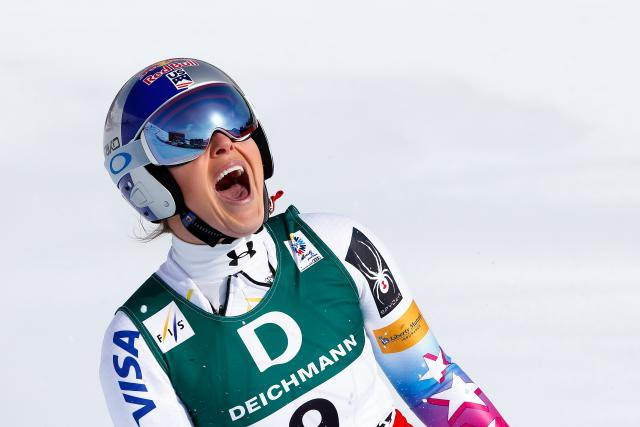 St. Moritz, Switzerland – Colorado’s Lindsey Vonn landed on the podium, taking the bronze medal, to lead all four Americans into the top 15 in Sunday’s downhill at the 2017 FIS Alpine World Ski Championships. Slovenia’s Ilka Stuhec continued her dominant season to take the gold ahead of Austria’s Stephanie Venier, who grabbed the silver. 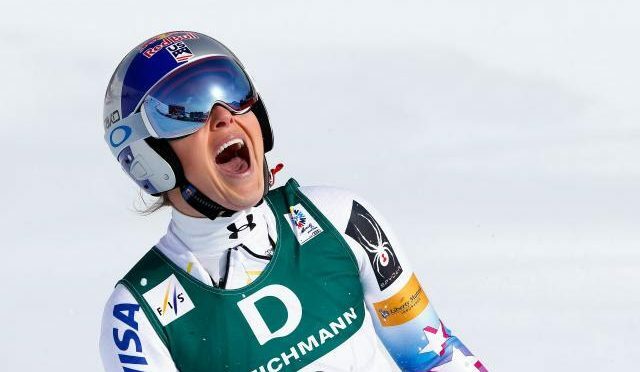 Stuhec, who topped both downhill training runs, finished 0.40 seconds ahead of Austrian Stephanie Venier and 0.45 seconds ahead of Vonn in front of a crowd estimated at 50,000 in St. Moritz. It was also the first medal for Venier, who took home the silver. She was an outside chance to make the podium as she has only one career World Cup podium, which came a few weeks ago in Garmisch-Partenkirchen, Germany in super G.
For other U.S. ladies, Laurenne Ross (Bend, Ore.) was fifth, Jackie Wiles (Aurora, Ore.) tied for 12th and Breezy Johnson (Victor, Idaho) was 15th. Ross nailed the bottom of the downhill course to post a career-best World Championship result. For Wiles, who is competing in only her second World Championships, Sunday’s downhill was an opportunity to get back on track after not finishing the super G earlier in the week. Up next at the World Championships, the women compete in the team event Tuesday.